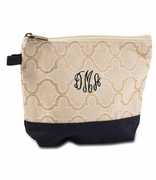 QUANTITY REMAINING (7) Monogrammed solid jute all white cosmetic bag. Are you forever looking around in your tote for your make-up, lip balm or hand cream? 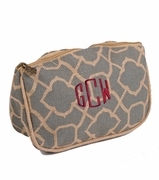 Get organized and keep all your cosmetics in this jute bag. 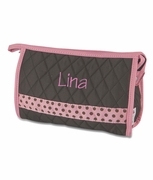 It is large enough to hold all your essentials but small enough to slip into a tote or carry bag. The bag is made from natural jute in a clean white color. 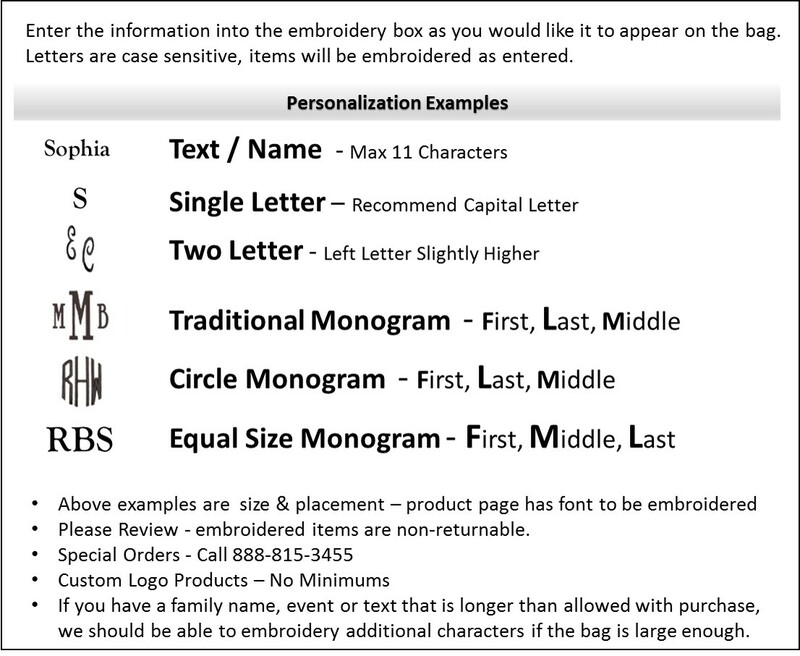 Perfect for wedding party gifts, choose your wedding color in matching thread, in a script or block font. It is an understated, stylish and convenient accessory that you can take everywhere. 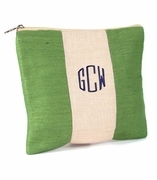 Monogrammed white jute cosmetic bag measures 12"W x 9"H, envelope bottom, tasseled zipper pull with laminated wipe-clean interior. Sized to fit most tablets and doubles as a wet bikini bag.